A note broker or note consultant acts as the financial matchmaker. They seek out note holders receiving payments and connect them with investors wanting to purchase notes. The note buyer funds the transaction and pays a referral fee to the note broker at closing. Definition: A Seller Financed Note Broker is an individual who negotiates and arranges individually held seller financed notes and usually works for him/herself. Negotiating and arranging can include asking questions, gathering information, compiling copies of pertinent documents and creating acceptable offers based on the pricing received from end note buyers. Seller Financed Note Brokers generally are not licensed and are unregulated except for industry self-policing. To make it clear early in this article, some states do have licensing and regulation issues, but not most. So, any information here can and likely will vary based on the state where the note broker resides. Determining the note’s value in the current market. Educate the note holder in explaining why there is a discount. Determining what options are available to the note holder. Advise the note holder in gathering pertinent documents. Verifying information received is accurate. Answer note holder specific questions. Report to the note holder honest, straightforward and realistic feedback for their situation. Help the note holder to try and get what they need and sign a purchase agreement. Coordinate the process from initial acceptance through the closing and funding. Help them to locate notes that meet their requirements. Help them with securing a signed initial agreement. Advise them on the demographics of the area, market conditions, and if they believe that the property securing the note was sold at a realistic price. Work with them to craft custom tailored pricing options. Work with them through negotiations and counter offers from the note holders. After an initial purchase agreement is executed, coordinate or assist with the due diligence process if requested. Coordinate/schedule appraisals, inspections, and other activities if requested. Deliver and answer any questions regarding all documents, title insurance, deeds, etc. Work with them through the closing and funding. 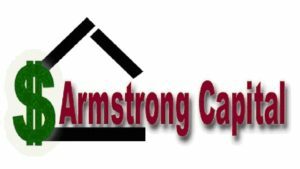 Jeff Armstrong of Armstrong Capital has been a note broker and investor specializing in the seller financed note industry since 1991. He can be reached by email at jeff@armstrongcapital.com. For more updated and current information on how he can help you with your note business, your note investments or to request a quote on a note you currently have visit www.armstrongcapital.com. Are You Right for the Note Business?